EUROCONSTRUCT is the main network for construction forecasting in Europe and has member institutes in 19 European countries. The EUROCONSTRUCT conferences are organized twice a year and provide short- and medium-term forecasts for the main European construction market segments (housing, non-residential buildings and civil engineering, with a breakdown in new work and renovation). 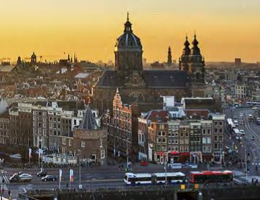 The Economic institute for construction and housing (EIB), as the Dutch member of the EUROCONSTRUCT network, will organize the 83rd EUROCONSTRUCT summer conference 2017 in Amsterdam. Slovac Republic - ÚEOS - Komercia, a.s. Publication formats: Summary report + Country Report in paper and PDF, Conference presentations in PDF. 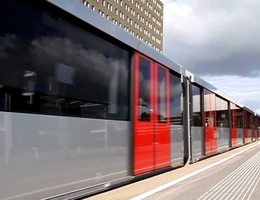 We welcome you to visit the new metroline which connects the north of Amsterdam to the south. The construction of this large and difficult project already started in 2003, the line is expected to be operational in June 2018. 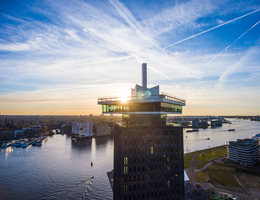 The evening reception and welcoming dinner of the EUROCONSTRUCT Amsterdam conference 2017 will take place at The Loft on the 16th & 17th floor of the A'DAM Tower. This is the former Shell tower, home of the multinational oil company until 2009. 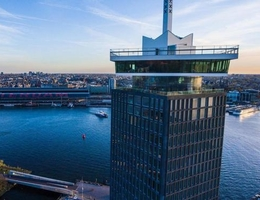 The A'DAM Tower is located in North Amsterdam on the other side of the center above the river IJ, with every 5 minutes a free ferry from Amsterdam Central Station. At the beginning of the reception we have the opportunity to hear a welcome speech by Mr. Pieter Litjens, the Amsterdam City Council Member for Traffic and Transport. 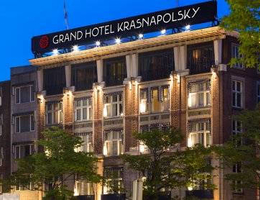 Grand Hotel Krasnapolsky is located in the heart of Amsterdam's characteristic historical centre on the main square with a view of the Royal Palace. 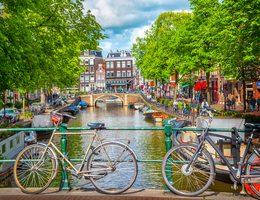 Trendsetting shopping streets are situated nearby, as well as museums like Van Gogh Museum, Anne Frank House and the Rijksmuseum. The hotel is very easy to reach. 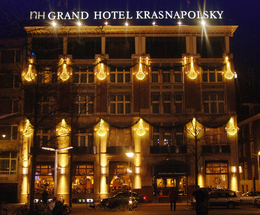 Amsterdam Central Station is at seven minutes walking distance, bus and tram stops are just around the corner. The hotel has an indoor parking garage. 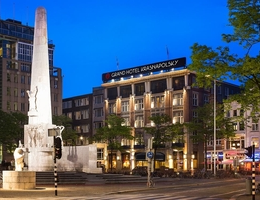 Sir Adam Hotel is located in the first eight floors of A'DAM Tower. 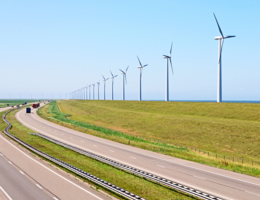 For companies with an EU VAT number the reverse charge method is applicable, for companies outside the EU no VAT is applicable. If you cancel your attendance before 20 May 2017, 50% of the conference fee will be reimbursed. After this date no reimbursement will be possible. If you are unable to attend due to unforeseen circumstances, you are welcome to send a representative. In this case please inform EIB in advance. After registration you will receive by e-mail an invoice (PDF) for payment by direct bank transfer.